Tue., March 21, 2017, 1:24 p.m.
CHARLOTTE, N.C. – Panthers quarterback Cam Newton’s offseason “sabbatical” is going to be a little longer than expected. Newton will undergo surgery on March 30 to repair a partially torn rotator cuff in his right throwing shoulder, according to team spokesman Steve Drummond. Drummond said Tuesday that Newton will miss minicamp and OTAs, but is expected to be ready for the start of training camp in late July. The 27-year-old Newton injured his shoulder in Week 14 of last season against the San Diego Chargers. He finished the game – and the season– for Carolina without missing a snap. The Panthers hoped rest and rehabilitation would solve the problem, but ultimately it was determined the 2015 NFL Most Valuable Player needed surgery. Newton was unavailable for comment. The six-year NFL veteran has been rehabbing the shoulder in Atlanta. A tired-looking Newton said after Carolina’s final regular season game that the team needed a “sabbatical” from football after a run of three straight NFC South championships. 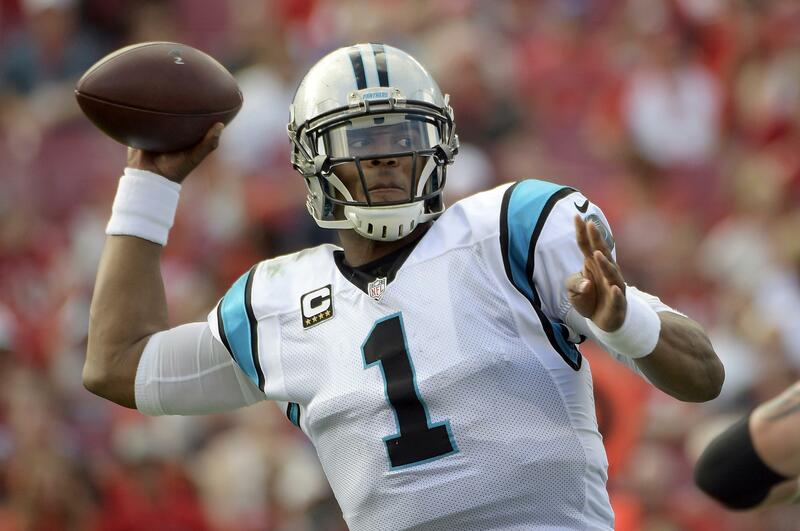 Panthers coach Ron Rivera said after the season Newton would not need surgery. Newton threw for 35 touchdowns and ran for 10 more while earning MVP honors two years ago, leading the Panthers to a 15-1 record in the regular season and their second Super Bowl. But things went downhill beginning with a 24-10 Super Bowl loss to the Denver Broncos. Newton struggled last season, throwing 21 touchdown passes with 17 interceptions and the Panthers never got on track offensively and failed to make the playoffs. Rivera said in January the Panthers would look into limiting Newton’s running in 2017 in an effort to cut down on the possibility of injuries. The Panthers also announced defensive end Charles Johnson (back) and wide receiver Damiere Byrd (knee) will need surgery and miss the offseason practice programs. Published: March 21, 2017, 1:24 p.m.